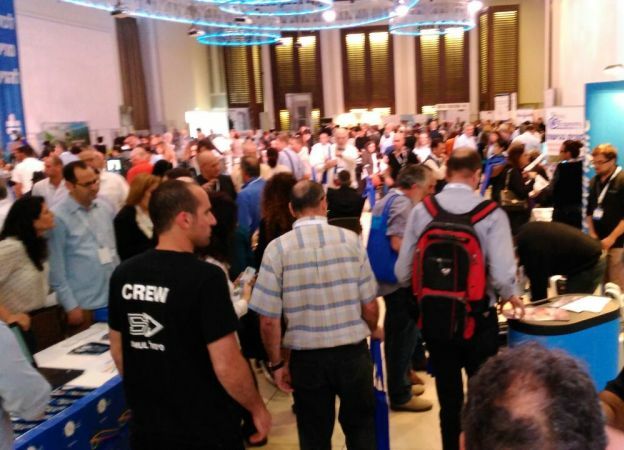 The 4th Annual Access Israel Convention was convened by Access Israel as a second-to-none professional and educational accessibility platform intended to highlight accessibility issues and expose technological innovations in the field. Important guests and activists from around the world attended the convention: Ms. Daniela Bas, Director of UN Division for Social Policy and Development (DSPD), spoke of accessibility as a promotor of global equality and integration. Ms. Anna Grazia Laura, President of the European Network for Accessible Tourism (ENAT), presented a case story depicting accessibility promotion in Europe, and reviewed the financial benefits of accessible tourism. New York City's Accessibility commissioner, Mr. Victor Calise described how accessible tourism has been a boost to the city's economy. Ms. Ann Hoy of the Department of Economy, Employment and Infrastructure in Ontario, Canada presented the assimilation model now implemented in Ontario, emphasizing the requirement that businesses and ventures of culture and leisure complete the accessibility process by 2025. Also attended: Mr. Martin Essle of the European ESSL Foundation, and founder of the World Future Council, Dr. Michael Pembek of the Zero Project, and Ms. Lara Schweller of the New York Museum of Modern Art (MoMA). Among the 700 participants were high ranking business figures, as well as travel agents, tour guides, managers of museums and culture institutions, hoteliers, managers of airlines and transport companies, accessibility professionals, architects, designers and engineers, delegates of local and state authorities, accessibility appointees and coordinators, representatives of the Organization for the Disabled, suppliers in the field of accessibility and many others who are active in the promotion of accessibility in Israel. 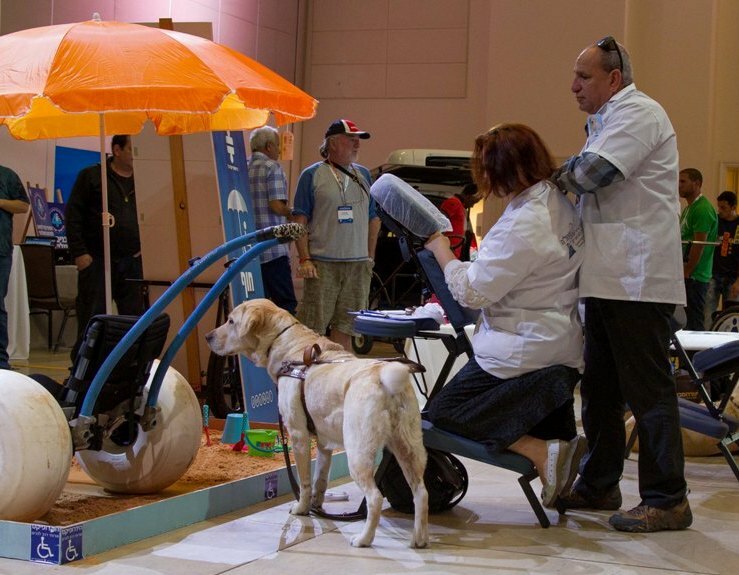 This convention took place while new regulations came into force, under which locations and services are required to make themselves accessible to disabled people. 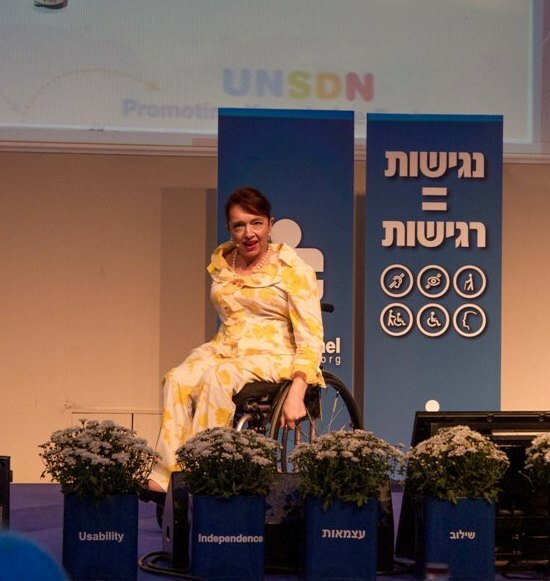 This has been an excellent opportunity for the Israeli public to learn from leading international speakers about recent developments and to see examples of accessibility assimilation and implementation worldwide. There were various panels and lectures about tourism and recreational activity, in which the following were addressed and discussed: accessible service; accessibility in hotels, airports and onboard aircrafts; technology in service of accessibility; accessibility in museums and visitors centers; accessibility challenges in ancient cities and heritage sites; accessibility on trains, buses and taxies; sensual accessibility; marketing, promoting and selling accessible tourism; accessibility in parks, gardens and preserved buildings; and a special discussion chaired by Ms. Anna Grazia Laura, president of ENAT, in which delegates of the participating countries talked about the plan to establish an international organization for accessible tourism. 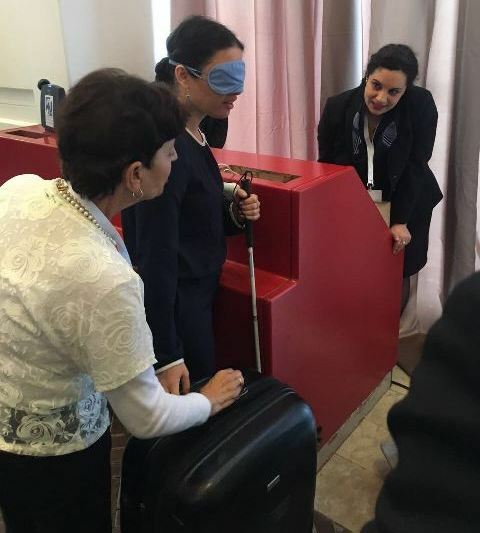 During the convention, the Simcha Lustig Access Israel Award for inspiring activity in the field of accessibility was presented, and there was an exhibition of progressive and essential accessibility solutions by accessibility providers. The recipients of the Simcha Lustig Award were: Agmon Hachula – LNF, and TheHeder – Architects and Achva Academic College. A special citation was given to the Daliat el Carmel Local Authority and the Holon Technological College, and letters of commendation were given to the accessibility coordinators of Migdal Insurance and the Eilat underwater Observatory. 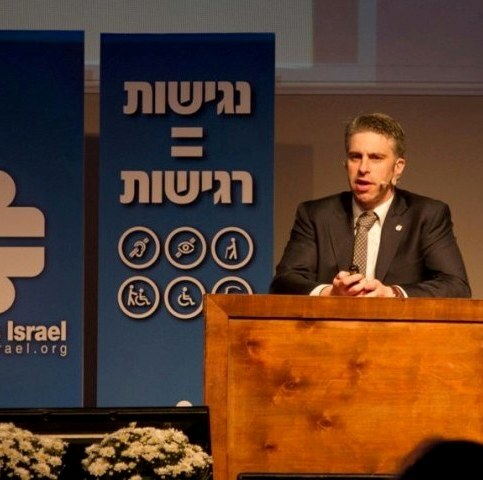 Yuval Vagner, founder of Access Israel, also addressed the convention, speaking of the correlation between accessible businesses and an accessible state. Vagner said, "The 4th Access Israel Convention is international. 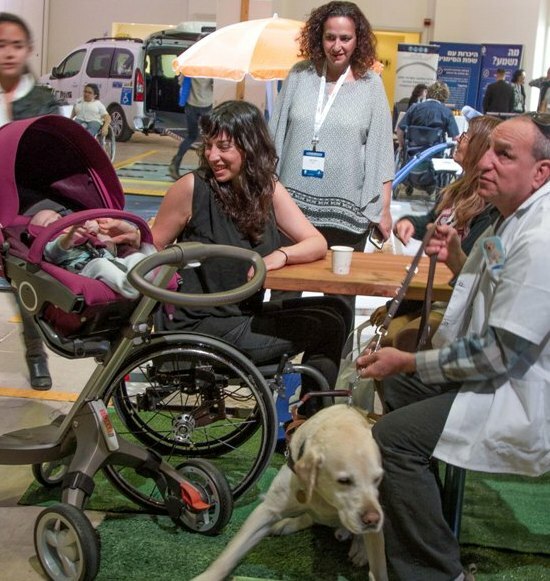 Israel is at the point where legislation requires that accessibility is assimilated and implemented in businesses, state and local authorities and in organizations. A gathering of all entities involved in accessibility in Israel and around the world, the convention's objective is to promote accessibility in Israel by improving and enriching the knowledge and the professional aptitudes of counselors, companies, organizations' representatives, suppliers and disabled people alike. 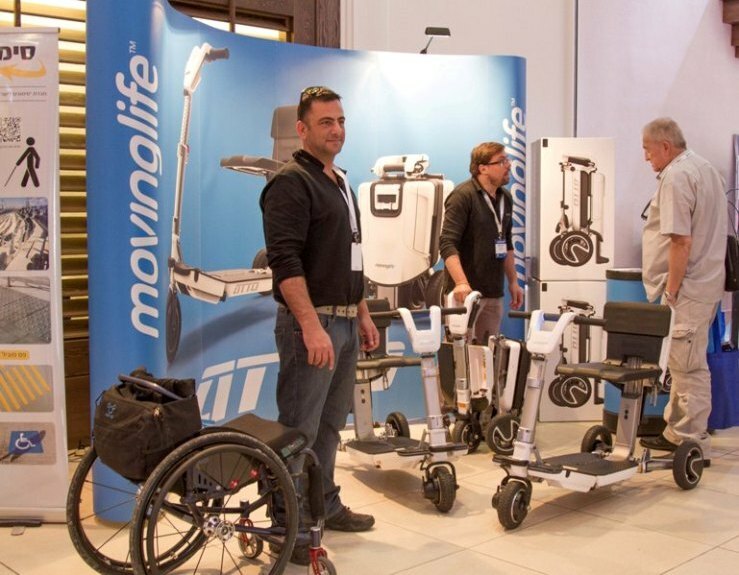 We are proud to be part of this process of improving accessibility and quality of life of disabled people and their families in Israel". 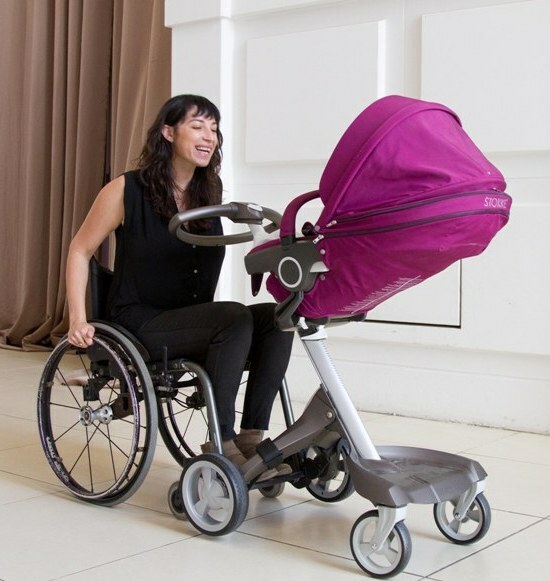 According to Israel's Central Bureau of Statistics, in 2015, there were more than 1,600,000 disabled people, which are 19% of the country's population. 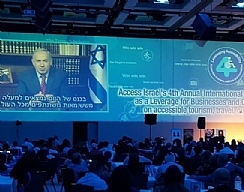 The 4th Access Israel Convention put accessibility in the limelight, addressing the need and aspiration to make all business, institutional, municipal, state and private environments accessible to disabled people. Photography: Haim kimchi, Michal Timer-Bechor, Elly Frechter, Yossi Zamir.